TOP 16 Interview Questions for Airline Pilots - Ready to Answer Them? Job of an airline pilot carries great prestige, but also great responsibility. 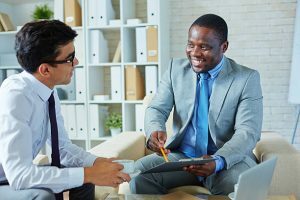 Are you ready to get it in an interview? 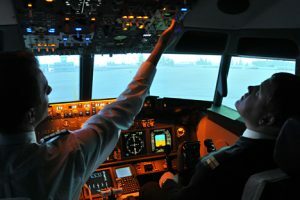 First and foremost, you need to have a bachelor degree in aircraft operations, aviation, aeronautical engineering, or a related field to have any chance of getting this job. Without the degree, and without ground training (typically one to three months) and at least 1,000 flight hours (this can be less or more, depending on the country/state of your application), it makes no sense to even apply. Once you meet the requirements in terms of training, education and hours you spent in the skies, however, the interview itself won’t be very difficult. Typically, it will consist in three parts. Personal questions – hiring manager from the airlines will ask about your goals and dreams, motivation, and reasons why you want to be a pilot. Behavioral questions – your answers to these questions help the interviewers to understand your attitude to work, and to evaluate how you’d act in various situations, including critical situations, such as emergency landing or bad weather conditions. Personality test – checking whether you are all right mentally, whether they can entrust you with the lives of their passengers. Let’s have a look at each part of the interview now. Why did you decide for a career of a pilot? Say them that you enjoy flying, and that you believe to be a responsible person. You can also say that you have all the skills and strengths, and that you believe to be a great pilot. Alternatively you can refer to an experience that motivated you to pursue the career, such as meeting a pilot when you were young, or having passion for aircraft models. The key is to convince them that you really want the job, and did not apply just becasue you’ve already spent a small fortune on your studies and training. Why do you want to work for our airlines? Probably you don’t care, and would accept any offer that pays well. But you should still try to convince them that you applied on purpose, and that their aviation company is your first choice. For example, you can say that you like the list of their flight destinations, or that you have great experience with their airlines as a passenger. One way or another, they should feel special after hearing your answer. Where do you see yourself in five years time? Experience matters a lot for a pilot. Tell them that you want to pursue your career in aviation industry, and that you will be happy to have the job of a pilot in five years time. Show them that they can count on you in a long run. Why do you think you can be a good pilot? You should show some confidence. If you do not believe to be good at what you do, they will also start to doubt your readiness for the job. Tell them that you did great in the training, that you feel responsible for the safety of every single passenger, and that you have excellent skills in driving an airplane, and everything that relates to it. Explain the things you’ll do before the flight, during the flight, and after the flight. Imagine that a weather got bad suddenly, and you saw a storm forming in front of you. What would you do? Safety comes first for a good pilot. Say that you would consult the navigators on ground, and turn off the auto pilot to take control of the plane. You should not hesitate changing the course, but only after you are sure that you won’t cross a flight corridor reserved for another plane. Imagine that the ground crew is struggling with loading the luggage, and you are behind schedule. What would you do? Again, safety comes first. Say that you would conduct all safety checks as usually, and only when everything has been completed you’d go out and help the crew. Remember that your attitude matters the most for the hiring managers. Describe a time when you felt pressure in your training, when flying an aircraft. How did you handle the situation? Feeling pressure is natural for every pilot who truly cares for the safety of the crew, and the passengers. Talk about a difficult situation, for example when you struggled with landing, or when the weather was bad. Ensure the interviewers that you did not crack under the pressure, but oppositely, it helped you to strengthen your focus and sharpen your senses, enabling you to bring everyone safely to the ground. Describe a conflict you had with your colleague. Conflicts do happen in every single job, and pilots are no exception to the rule. Tell then hiring managers about a conflict you had (with second pilot, flight attendant, or with anyone else), but ensure them that the conflict did not impact your concentration in work, and that you got over it quickly. Once again, you should try to show mental stability in your answer. Describe a time when you struggled to communicate something to your boss, colleague, or to a passenger. How did you manage to get your message over? Describe a situation when you went above and beyond with your service (for the crew member, for the colleague). Each airline company has their own personality test. The test can consist in simple questions, or statements you should give your opinion to, such as: “I like to be around other people”, or “When friends need help, they call me first”. You have an option to strongly agree with the statement, agree with it, disagree with it, or strongly disagree with it. Another form of a test consist in rating various pictures, or saying what you see on each picture. In my opinion, you should not stress about the tests. One can not really prepare for them in advance, and what is more, you will pass them, unless you are unlucky enough to suffer from some mental disorder, or to carry a scar on your heart that affects your decisions in a way that happens to be incompatible with the job of a pilot. Relax, be honest, and write what you feel. In most cases you will pass the test. Interview for a job of a pilot belongs to easier job interviews. Once you managed to complete your ground training, and spent enough hours in the skies, the companies know that you are ready to fly. They just need to understand your motivation, and attitude to various situations that do happen in the aircraft. Personal and behavioral questions help them with the task… If you struggle with the answers, you can have a look at our Interview Success Package. Multiple great answers to thirty most common personal and behavioral interview questions will help you to pass this interview with flying colors. Literary.